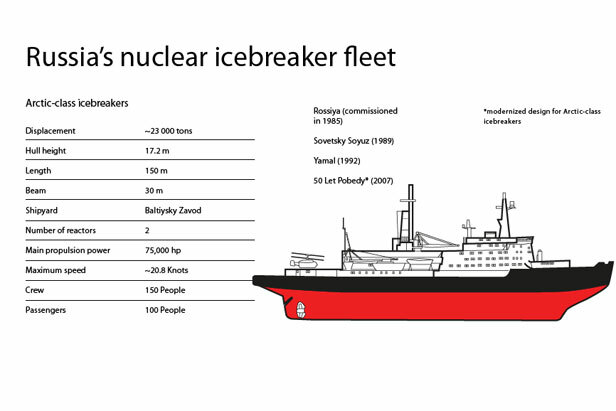 Icebreakers are the backbone of Russia’s Polar exploration efforts. The global race for the Arctic resources is now truly on. A Greenpeace mission has failed to storm Russia’s Prirazlomnaya oilrig, Moscow is actively developing the Northern Sea Route infrastructure, and the United States will invest $8 billion in Arctic projects. Russia appears to be particularly well equipped for the mission with its fleet of unique icebreakers.